Phone has recharged. 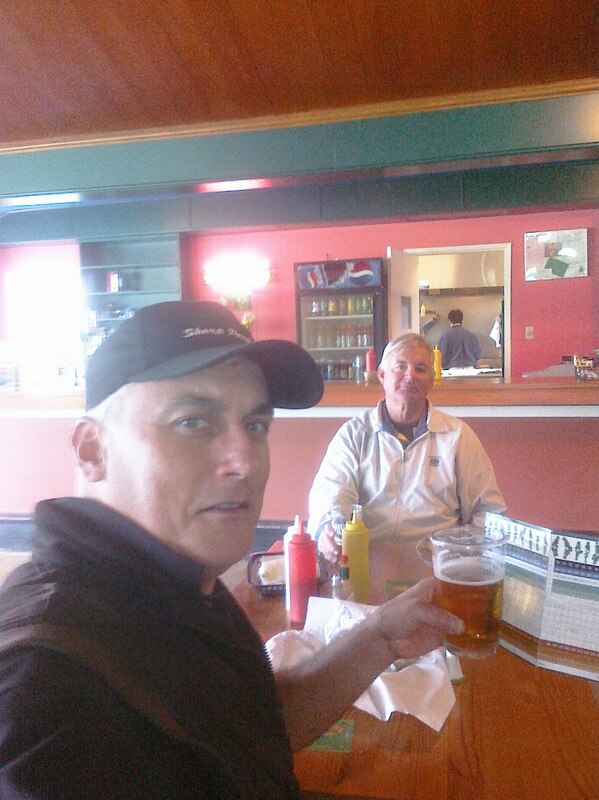 Bob and I are having a beer and burger.Not sure what happened to the Zwicker twins. I suspect they slinked home in shame after their humiliating performance. We pushed on the 18th hole press so I still owed Bob 7 skins. I may have to start practicing again.